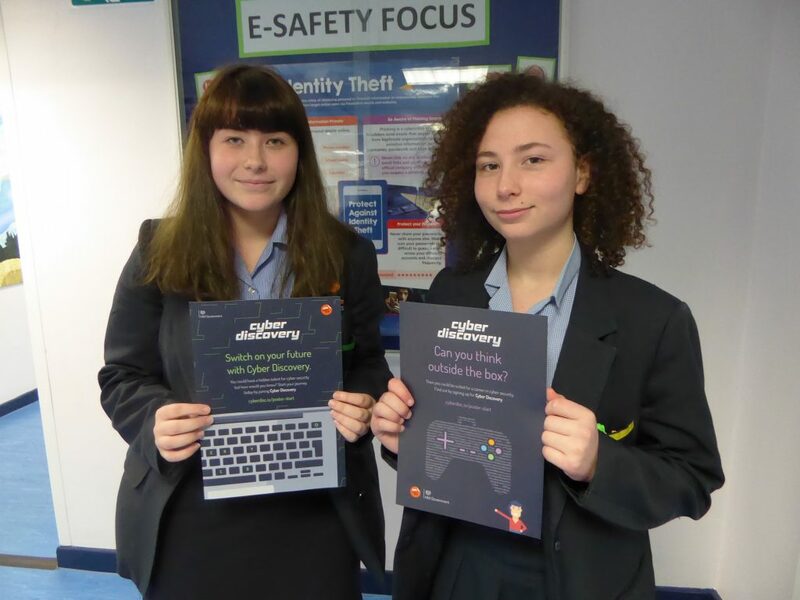 Cyber Discovery, the landmark government-led competition aimed at attracting young people across the UK into rewarding cyber security careers, is revealing some hidden talent and inspiring some very clever code-breaking skills! Successfully completing the initial phase of the training programme are four students – Lauren and Lily (Year 9), pictured here, and Keira and Eleanor (Year 10). They successfully solved up to thirteen challenges in the first, access, phase, identifying the hidden data in HTML code in websites and undertake cyber sorting – revealing system vulnerabilities before rogue hackers can exploit them. They have now been invited to take part in the second phase and, with the competition closing date at the end of March, one student has already completed almost 20% of the allotted tasks! Mr Simon, Subject Leader – ICT/Computer Science, is delighted with their progress so far – and so are we all, ‘Well Done’, everyone! Previous Post We ‘R’ as ‘1’ at Basketball!